Wether you're into Beyonce's sleek no nonsense ponytail, Jennifer Lopez's sultry waves, Lea Michelle's free-spirited, glamorous beach-do or Eva Longoria's old Hollywood style, we've got it covered with today's hair tutorials. 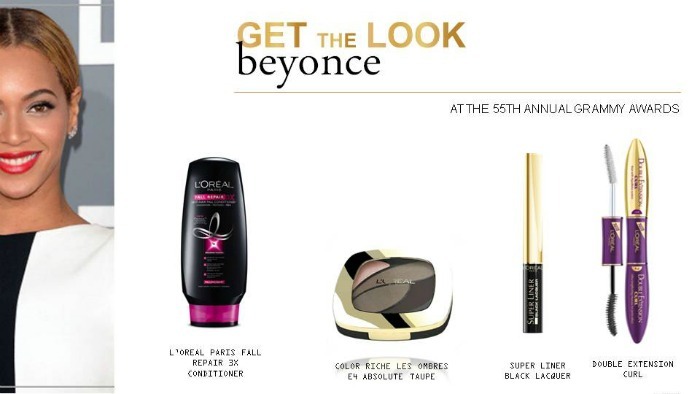 Special thanks to L'Oreal for providing us with this cheat sheet. Make it Happen: This look takes more than a few products to make, so it’s best to prep with a nourishing tonic that secures your locks from the perils of product styling. L’Oreal Fall Repair 3x Leave in Tonic does the job. To make locks feel more voluminous, work in a generous amount of hair mousse, and continue by applying a thickening spray to increase its weight. Taking a teasing comb, tease your hair by sections until you achieve your preferred volume. Push your mane back, smoothing out loose ends at the surface, and secure loose hair at the bottom with bobby pins. Finally, spritz on hairspray to keep your up-do, up! Make it Up: To drive attention to your hair, keep skin natural by choosing foundation that perfectly matches your skin tone. Imbibe drama in your eyes with thick liner and a volumizing mascara, and stay on the neutral side with a lipstick that is nearest to the color of your pucker. Make it Work: While they sure are great for red-carpet worthy looks, hairstyling products and hair tools make your hair prone to damage, stripping it off of strength and making roots dull and undernourished. 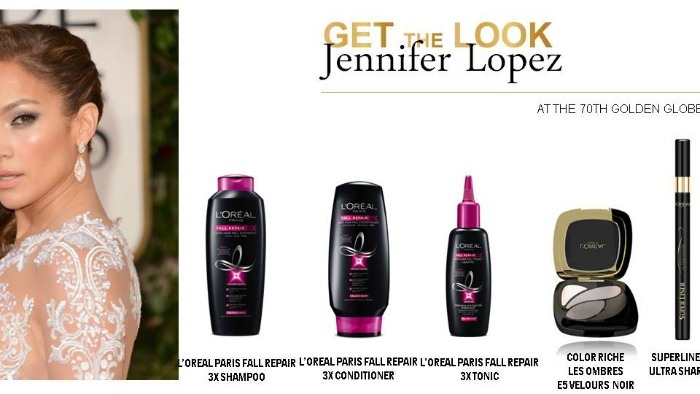 L’Oreal Fall Repair 3x Leave in Tonic counteracts hair damage by nourishing the hair’s roots. When applied directly on the scalp, the tonic makes hair stronger and resistant to external aggressions. Make it Happen: To nail this sleek look, start off by remembering that tangles are a no-no! Thus, moisturizing your hair with a conditioner like the L’Oreal Fall Repair 3x Conditioner is a step that shouldn’t be skipped. Once your hair is dry, simply part your hair in the center with a fine-toothed comb, to make sure your ‘do is as sleek-looking as possible. Tie your hair by the neck area for a more mature mien, and seal off the look with hairspray to keep stray hair in place. Make it Up: Channel this powerful look with make-up that’s strong yet minimal. Apply foundation and spread evenly onto the face—don’t forget to cover areas as near as possible to your hairline. Apply gentle amounts of dark eyeshadow, and blend it out for a softer look. After, line your eyes and apply mascara that extends the length of your lashes, as the face needs depth to serve as contrast to your sleek hair. Finish off with two full swipes of lipstick in an arresting bright red. Make it Work: The mid-part ponytail is one of the easiest looks to do, but not giving proper attention to miniature details like uneven hair, loose strands and improper combing can make you look disastrous, or worse, ordinary (yikes!). Make sure that tangles are dealt with sternly with the L’Oreal Fall Repair 3x Conditioner, instantly detangling hair, making it stronger and softer. It helps you style hair into the perfect slick, for a polished look that is noticeable in its strength and shine. Make it Happen: The best red-carpet hairstyle prep is the pre-prep! Create stronger, healthier hair that’s ready for styling with the L’Oreal Fall Repair 3x Shampoo, Conditioner and Leave in Tonic. With your damp hair (make sure it’s not wet! ), blow-dry your locks to achieve stick-straight locks easy to pull back. Take an even amount of styling wax, and slick back your hair to a high ponytail, secured by a thin band. Take your ponytail, twist it tightly, and coil it around the end of your ponytail, securing the end with bobby pins. Make it Up: Look straight into the camera lens with high-impact eyes that’s focused on your peepers. After applying foundation, lightly shade your eyelids with a silvery gray color, applying black eyeshadow to your eyelid’s crease and outer corners to create more depth. Very carefully, heavily line both your top and bottom lash lines with eyeliner, and sweep on mascara as a finishing touch. 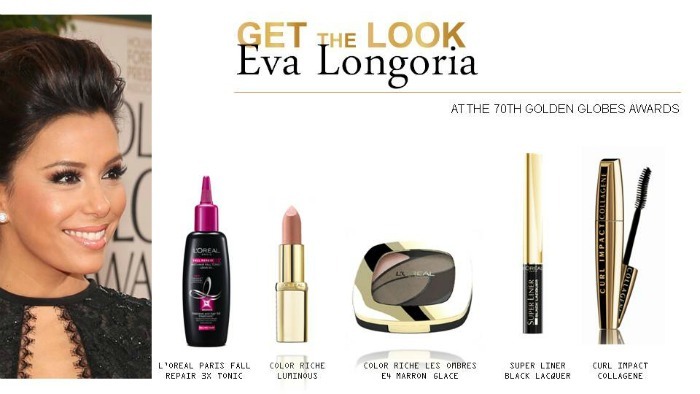 Top off your look with a beige lipstick to create a striking hard-soft contrast. Make it Work: The strain of trying out different hairstyles may take a toll on your mane, so it’s best to take your hair care up a notch with a line of products that take a firm stance against hair fall due to fragility and damage. L’Oreal’s Fall Repair 3x Shampoo, Conditioner and Leave in Tonic addresses the three major causes of hair fall: root malnutrition (causing poor hair growth), root fragility (facilitating hair breakage), and fiber damage (making hair more prone to external factors). Loaded with Arginine, an amino acid vital to healthy hair growth, the L’Oreal Fall Repair 3x line will make sure your mane is nourished from the root, with restructured hair fibers and stronger hair that is red-carpet worthy any day. Make it Happen: Start by cleansing your hair with the L’Oreal Fall Repair 3x Shampoo—fresh, clean hair ready for styling is the secret to prepping for this look. After towel-drying your locks, take an inch of hair and wrap it around a heated curling iron, keeping it in place for around ten seconds. Curl the rest of your hair in alternate directions, and separate them loosely with your fingers. Make it Up: Go soft in your make-up look by starting off with an illuminating foundation. Create subtle yet deep-set eyes by lining them with black liner, and swiping on mascara. 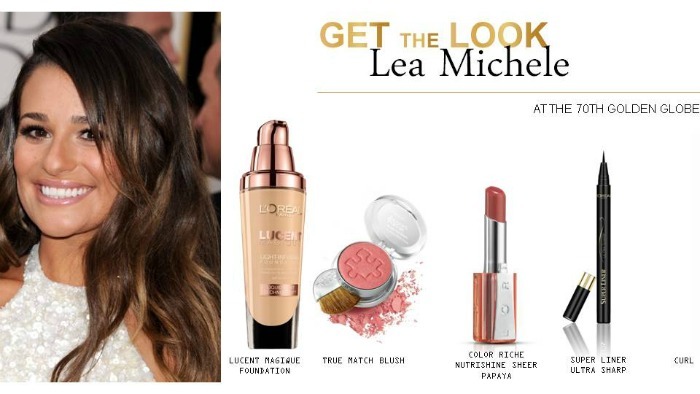 Imbibe rose-colored cheeks with a salmon-hued blush, and finish off with pink lips for a look that’s extra feminine. Make it Work: Creating soft, nonchalant waves that last all day relies on thoroughly cleansed hair that is strong from its roots. Clean locks, as opposed to day-old dirty hair, avoids unnecessary volume and allows your curls to fall loosely, while strong hair makes your roots ready for intense styling. Deep clean your locks with the L’Oreal Fall Repair 3x Shampoo, keeping your hair fresh and making it more resistant from its roots.